MRSIMCARD.COM – begins offering Ultra Mobile Sim Cards for visitors to USA! HERNDON, VA (November 29, 2012) –MRSIMCARD has commenced the sale of the Ultra Mobile USA Sim Card for visitors to the USA using phones, iPhones, Android Phones, and Standard GSM Phones online at www.mrsimcard.com. Ultra Mobile is a new USA MVNO offering unlimited GSM service including talk, text, and data running on the T-Mobile USA network. 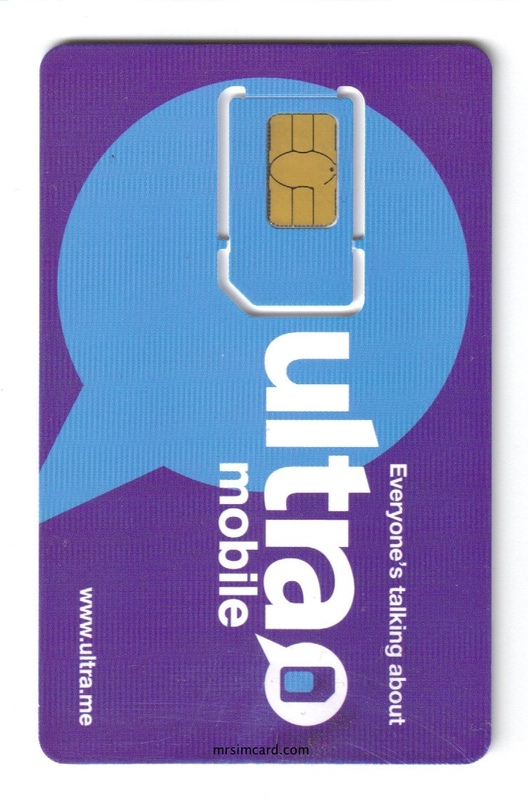 The Ultra Mobile sim supports 3G/4G data on the T-Mobile Network on frequencies 1700/2100Mhz. The T-Mobile network is re-farming to support 3G data on 1900Mhz which means iPhone users will enjoy 3G data in more and more places as the re-farming process continues. The unlimited plans feature true unlimited USA talk and text. Ultra Mobile is the only network with a new feature called “Call Me Free”. “Call Me Free” – How it works! Users in the USA share a “Call Me Free” number with folks back home. To call you, they first dial a local Call Me Free number. Ultra Mobile answers and prompts them to enter your Ultra Mobile USA number. Ultra Mobile then connects the call for Free.. “Way Coool”. Local numbers are available in these 44 countries. Argentina, Australia, Brazil, Bulgaria, Canada, Chile, Croatia, Cyprus, Czech Republic, Denmark, Dominican Republic, El Salvador, Estonia, Finland, France, Georgia, Hong Kong, Hungary, Ireland, Israel, Italy, Japan, Latvia, Lithuania, Luxembourg, Malta, Mexico, Netherlands, New Zealand, Norway, Panama, Peru, Poland, Portugal, Romania, Singapore, Slovakia, Slovenia, South Africa, Spain, Sweden, Switzerland, United Kingdom, Vietnam. Sim cards are available as Standard, Micro, and Nano sim formats. Plans available include 7, 15, 30 day unlimited offerings. Customers have the option of ordering a sim for delivery worldwide or for delivery via FedEx Express to a hotel in the USA. The sim card is activated 2 days before the customer arrives the USA. Configuration info is sent via email to the customer. MRSIMCARD is committed to offering the best value in Pay As You Go sim service worldwide. MRSIMCARD.COM – begins offering Pure Unlimited USA. HERNDON, VA (March 01, 2011) – OOMOBILE, Inc. | MRSIMCARD has commenced the sale of the Pure Unlimited USA for use in the USA. Pure Unlimited is the most flexible Unlimited service offered in the USA today. With 3 day, 7 day, 14 day, and 30 day increments available, Pure Unlimited offers the user unbelievable flexibility in Unlimited USA wireless service. 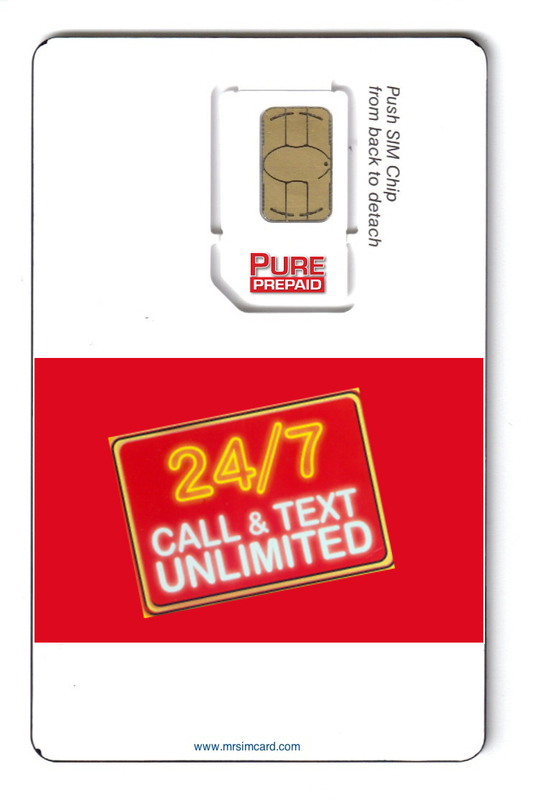 Pure Unlimited includes Unlimited USA Talk, and Texting. The addition of an International long distance pins allows International calling to hundreds of countries. International texting is not currently supported. A variety of sim packages are available for purchase online at www.mrsimcard.com. Customers order a sim starter kit and enjoy low cost unlimited service anywhere in the USA on the largest GSM network available. The sim card is shipped and activated with a local number once it arrives. Order a Pure Unlimited Sim Starter kits online to take advantage of our launch pricing. Click here to see specials and to order. Starter kits include 50 minutes of talk, and an Unlimited pin is required to start Unlimited service. MRSIMCARD.COM – begins offering Cosmote Greece Prepaid Sim Service. HERNDON, VA (January 24, 2011) – MRSIMCARD begins offering Cosmote Greece Prepaid Sim Service for travelers to Greece. Visitors to Greece can now purchase a prepaid sim card for Greece from mrsimcard.com and save on prepaid roaming charges while visiting Europe. The Cosmote Greece Sim from mrsimcard.com features Unlimited Free Incoming Calls and text messages. The Cosmote Greece Sim is compatible with iPhone, iPad, and allows users to subscribe to Pay As You Go data for as little as 3 Euro per 60 MB data. Users can subscribe from the handset upon arrival in Greece. Customers will also enjoy a super low call rate for international calls placed from Greece. Customers will be able to recharge online at mrsimcard.com with a credit card or Paypal or Amazon account. Enjoy Greece like a local with a Greek cell phone number and rate plan. 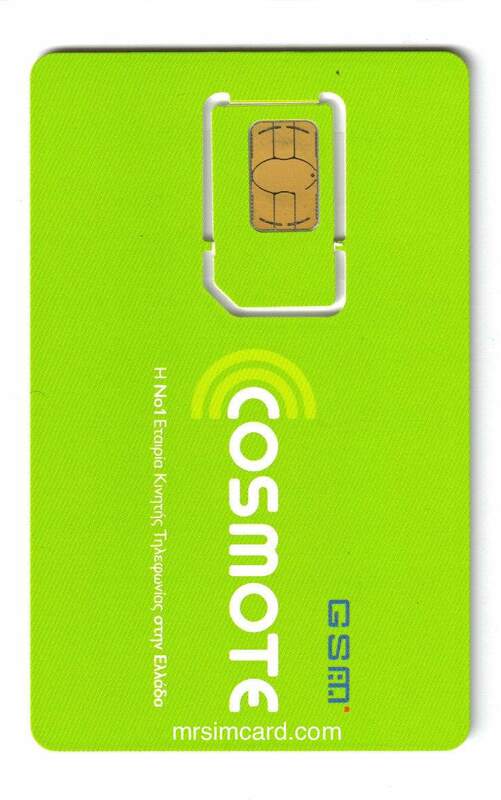 An ideal alternative to expensive roaming options, the Cosmote Greece SIM Card includes €1 of call credit, voicemail, and text messaging and is compatible for use in any unlocked GSM tri-band or quad-band mobile phone. The SIM card allows you to make and receive calls both internationally and domestically within Greece using the Cosmote network. The prepaid SIM card for Greece with an unlocked GSM cell phone is the most convenient and economical solution for staying in touch while in Greece. All incoming calls while in Greece are FREE, regardless of where they originate. HERNDON, VA (June 02, 2009) – OOMOBILE, Inc. | MRSIMCARD has begun offering Vacation Value sim cards in time for the summer Caribbean travel season. Now travelers to the vacation hot spots of the caribbean can stay connected to friends and loved ones while sipping a cool drink on one of the Caribbean’s the sunny beaches without spending a bundle for the privilege. “Vacation Value” sims are the preferred option to paying international roaming fees levied by home carriers for international travelers. Don’t you pay them enough while at home. Mrsimcard.com offers the Digicel & LIME Caribbean sim card and airtime refills in North America. Visitors to the Caribbean Islands are now be able to purchase LIME Sim Cards for only $29.99 prior to traveling to the warmth of the Caribbean. There is no longer the need to secure a phone upon arrival. Customers need only turn on their phone with the simcard inserted and benefit from free incoming calls and text message on LIME. Welcome to LIME’s Caribbean.